This entry was posted on Monday, September 25th, 2017 at 4:12 pm	and is filed under Other. You can follow any comments to this entry through the RSS 2.0 feed. Both comments and pings are currently closed. The Register is reporting that Deloitte basically bent over, pulled down their pants and told the internet to come and have a go. Domain controllers w/RDP enabled on public internet, even! Totally was. Insane but hardly surprising that the company is trying to downplay this as much as it can. I think many of us would respect a “we done f*cked up on a huge scale” honest approach though, would be refreshing. When I was at D. there was a Cyber Vault to handle all admin and service account passwords. Many regarded this as a joke and kept local copies of the passwords. Add to this the complexity of systems making a standard password reset cycle beyond impossible. It was easier to just fudge the books. It would be interesting to know how many of these big breaches are the result of attackers using social engineering / insider threats vs. solely technical vulnerabilities. It doesn’t matter how many controls you have in place if your administrators give away their passwords/information. Most places I would imagine don’t have 2FA enabled on every single system. Then you have the problem of management and executives accepting amounts of risk that should never realistically be accepted. Can a CIO/CISO/CTO of a large company really be knowledgeable about the state of InfoSec at large as well as in his particular company? The ones I’ve talked to have somewhat detached from reality and only think “big picture” (usually how to cut costs and make more profits) – they don’t really care what you think (or know) is a real threat until their job is at stake. We have technology that can provide 2FA to every user on every system, application, server, device, router, etc. We have the technology to Vault and randomize every single admin password, and have them used on a sign-out basis, log everything they do with it, and expire passwords after every single use. Sadly most companies don’t take this seriously until they get bit in the A$$ or are taking years to implement the most basic safeguards while they put themselves at risk. Here’s one insight Kyle. http://breachlevelindex.com/assets/Breach-Level-Index-Report-H1-2017-Gemalto.pdf There is a pie chart on the rt side about 1/3 of the way down, another about 1/2 way down. There a bunch of sites that list various breach information, who did it, how it was done, type of info stolen. The list is endless! https://digitalguardian.com/blog/history-data-breaches Site has an image about 1/2 way down with some stats on the type of breach. https://www.privacyrights.org/data-breaches can be searched by way of various parameters but the CSV download doesn’t work. I’ve found a lot of info the past two weeks but generally only saved the pie charts or graphics not the whole web page, so I can’t give you all the URL’s. Everyone did freeze their credit info with the big 4 as well as (especially!) Chex Systems right? Is their job really ever at stake though? Worst case scenario seems to be a golden goodbye and a decent reference for the next employer. Microsoft used to brag about the fact that Deliotte was using Office365. I guess that will stop. Deliotte likely didn’t want to pay for the complete (expensive) o365 licence. As a result no 2 step verification from Microsoft. I read that in the UK they had 2SV. However the main admin account on O365 remained unprotected by 2sv. I guess that is one the reasons that I like G Suite for enterprises. Google takes security seriously. They give everyone 2sv for free in their licence. Google gives partners a fee to give security workshops to customers to explain how to apply security measurements. I’m sys admin at a small media company. We don’t deal with people’s data, have less than 20 users and I use 2FA on everything that supports it. Why don’t bigger companies in charge of other people’s data feel like 2FA isn’t necessary or too much work? It doesn’t solve everything but if someone tries logging in, if nothing else I will know it from the codes being sent for 2FA. Because you’re a sysadmin at a small media company, and have no idea what the complexity is of pushing out something like Office 365 throughout an entire global conglomerates infrastructure. When you’ve dealt with enterprise, maybe you can open your mouth. You took the time to take a cheap shot at a guy working at a small company yet you still didn’t answer is questions about why large companies might not use 2FA. This tells me you that you obviously don’t know yourself. Stop being so personal about it and provide some useful input instead of cheap shots. Heard yesterday that their ISO 27001 implementation (scope: ‘confidential client data’….no joke!!!) is globally managed by an unexperiened UK freelancer…. way to go! So my question is: A client of ours engages Deloitte to examine/audit my security to see if it is up to the client’s standards. Deloitte collects data from me about my security efforts and prepares a report for my client about me (and presumably all my client’s other third-party vendors.) Is all that data about our security efforts now exposed too? I fear it is. 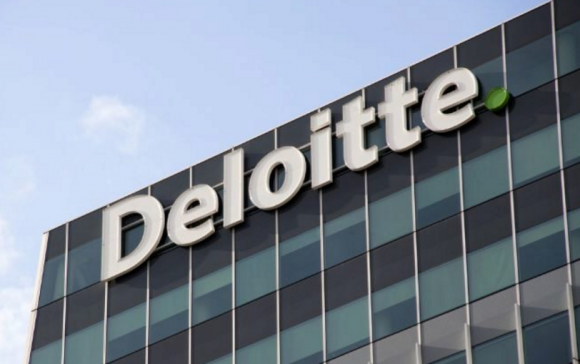 I’ve worked for and with Deloitte. Their internal security is weak, to say the least. They also have a tendency to give their clients “good news,” even when other security audits demonstrate contrary evidence. 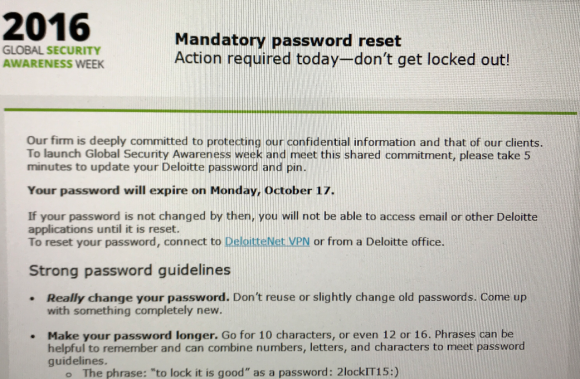 It’s a strange culture at Deloitte; the only truly “matrixed” framework I’ve seen in terms of internal security. When a Managing Partner tells you he’s not the boss – you are…. there’s something off; it’s called deferred responsibility. This is what happens when so called consulting (service like hospitality) companies like Deloitte, Ernst & Young, Accenture, Bain Capital, Booz Allen, etc. hire cheap inexpensive labor (labor that will work for 16-18 hours for the price of 8-9 hours) with no experience, promote them in 2-3 years, inflate their egos and make them the most immoral workers on the face of earth. Also, a bigger issue with Deloitte has been outsourcing to India in their USI department. There must be full security rules followed in order to avoid such kind of things to happen. Hope it happens and the Internet will be more secure.